A Mortgage Credit Certificate gives qualified home buyers a dollar for dollar tax credit for part of the mortgage interest paid each year. It directly reduces a homeowner’s federal income tax liability. 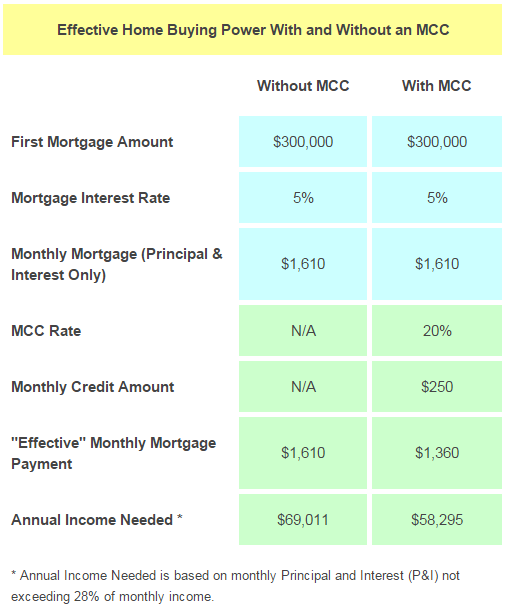 Other than the obvious benefit of saving you money by paying fewer tax dollars to the IRS, the MCC can actually help borrowers qualify for a larger loan than when not using a Mortgage Credit Certificate. MCC tax credit savings can be real dollars applied to reduce your monthly Principal and Interest, taxes and insurance payment when using it with FHA financing to reduce the DTI ratio. 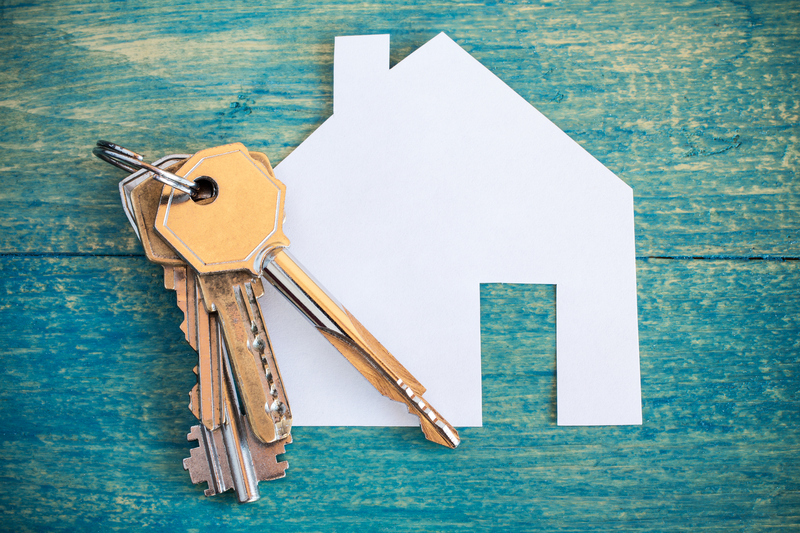 The effective lower monthly house payment is what allows you to qualify for a more expensive home! Cannot exceed the county income limits. Income limits can vary between which MCC provider is being used and whether you are buying in a federally ‘targeted’ area or non-targeted area.